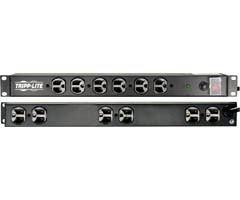 CPS Rackmount PDU/Surge 15A This item cannot be shipped to APO/FPO addresses. Please accept our apologies. 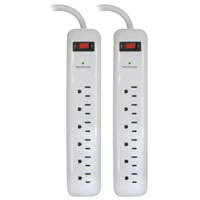 Power Strip 120V 5-15R 4 Outlet 10ft Cord 5-15P. 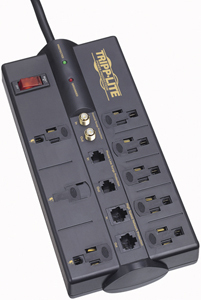 Tripp Lite's Power It! 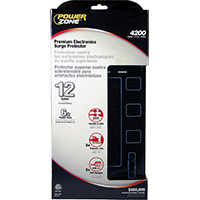 PS410 power strip offers reliable convenient and cost-effective power distribution for appliances power tools lighting and other electrical equipment. 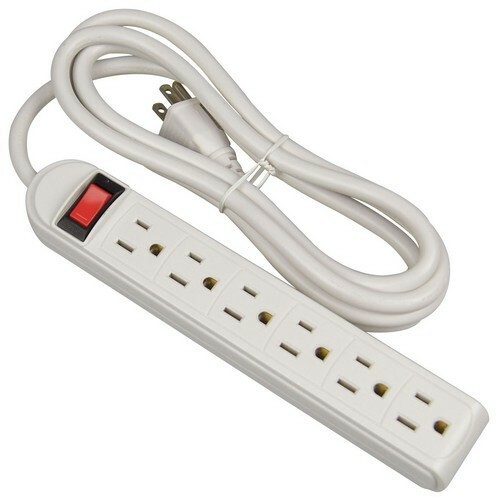 Includes 4 NEMA 5-15R outlets 10-foot AC power cord.. Multi-outlet strip reduces cable clutter and enables the connection of multiple electrical devices to a single AC wall socket. 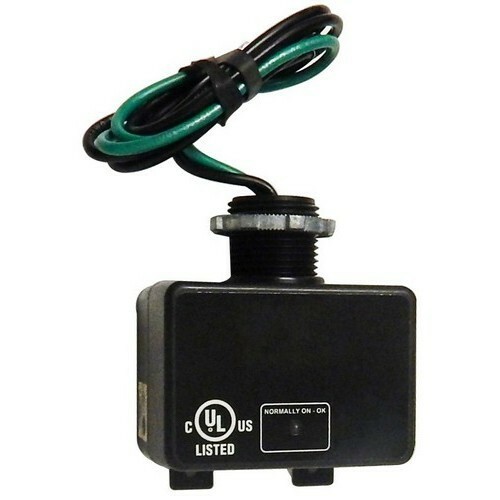 Features ABS fire retardant plastic case to stand up to the most demanding environments illuminated power switch and 15A integrated circuit breaker to prevent dangerous overloads. 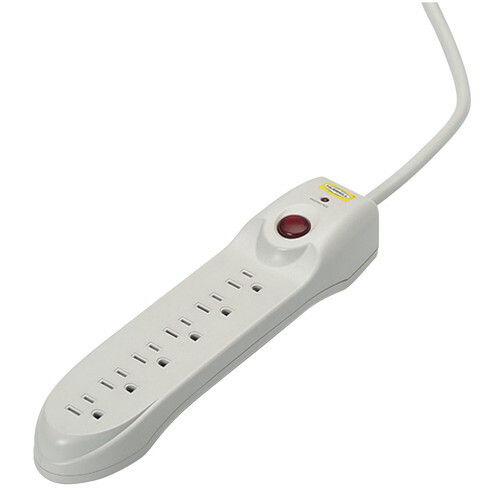 INPUT/OUTPUT: Input: NEMA 5-15P/Output: 4 NEMA 5-15R ELECTRICAL: 120V AC 50/60Hz 15A FORMAT: Corded power distribution strip This item cannot be shipped to APO/FPO addresses. Please accept our apologies. 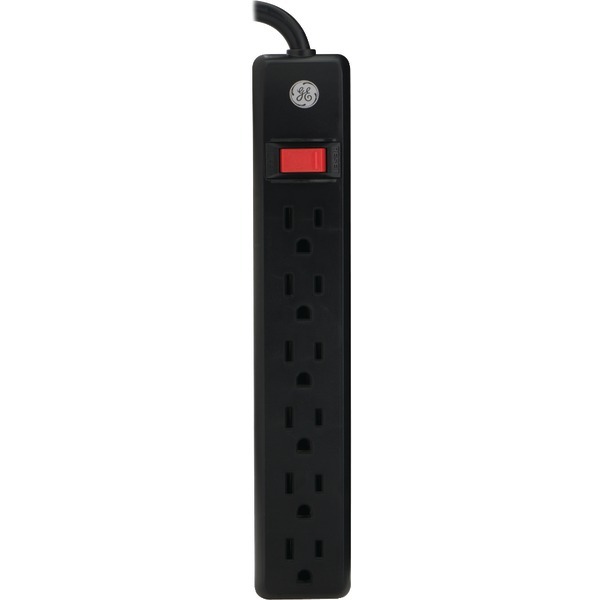 Whole-House Lightning Arrester/Surge Suppressor - Our Lightning Arrestor Surge Protector protects numerous home and office applications. 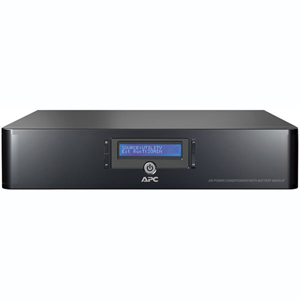 Case Qty: 48 This item does not ship to APO/FPO addresses. 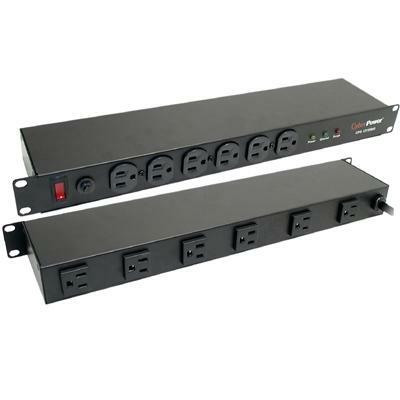 1 U Rackmount 12 Outlet Surge Strip (NEMA5-15)/15ft. 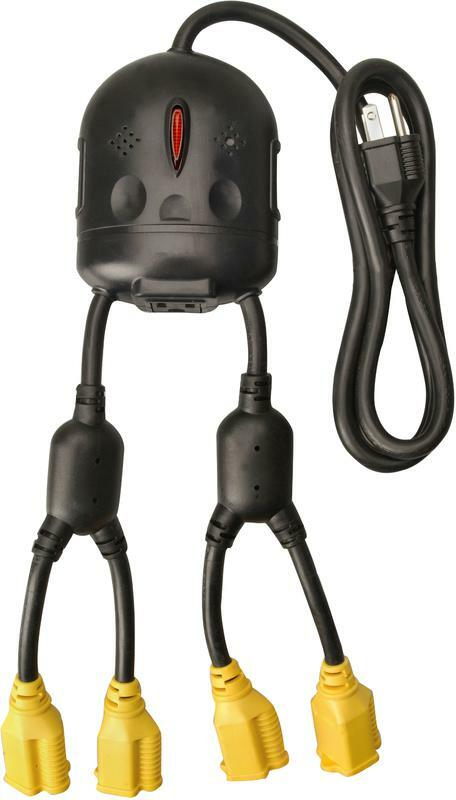 Cord/Black/Metal/1050j This item cannot be shipped to APO/FPO addresses. Please accept our apologies. 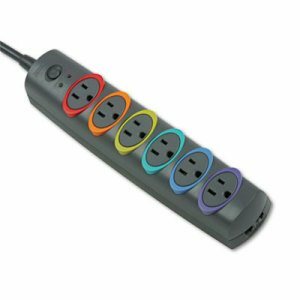 Colors identify each piece of equipment for easier, simpler cord management; just match outlet colors to label colors on your equipment. 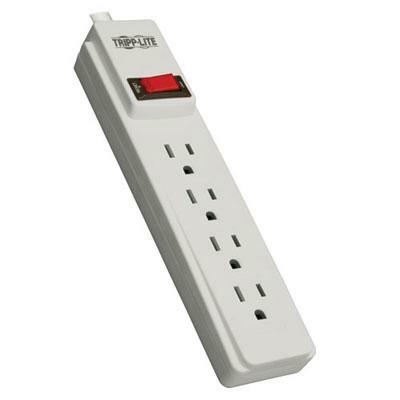 6-outlet unit offers quality protection. 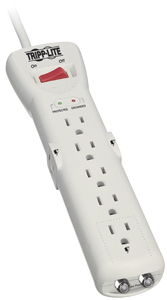 Power cord features a right-angle plug for easy accessibility. Connected Equipment Warranty provides the security you expect. 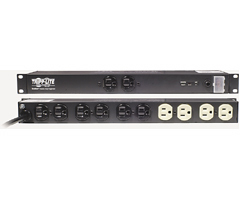 Unique housing is black with multi-color outlets. 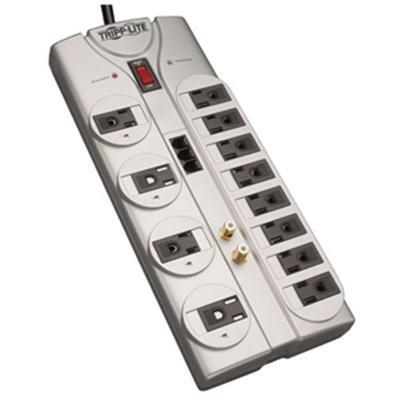 Number of Outlets: 6; Joules Of Surge Protection: 1260 J; Lines: 1; Multimedia Protection: Tel/Modem. 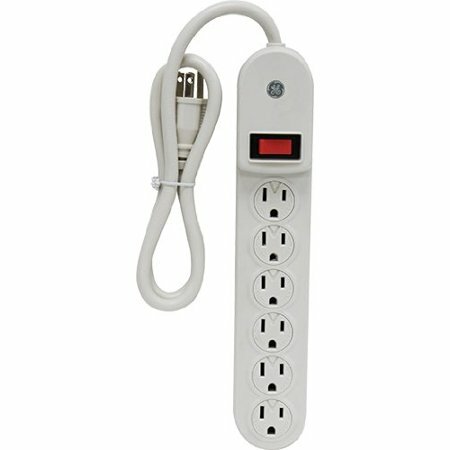 6 Outlet Power Strip - Our economy 6 Outlet electrical Power Strip. 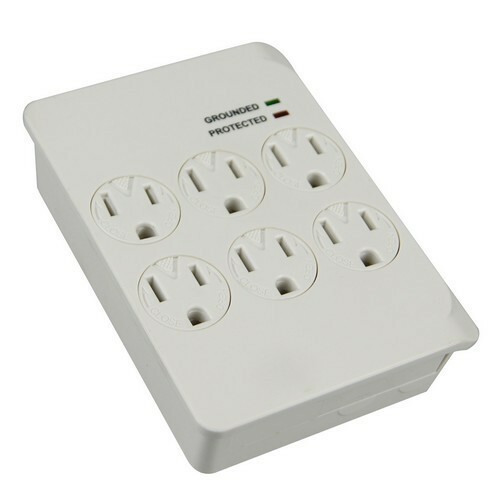 6 Outlet Surge Protector - A compact 6 Wall Outlet Surge Protector for home or office. 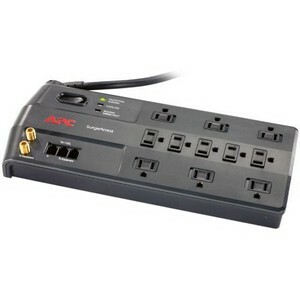 APC Performance SurgeArrest 11 Outlets with tel2/splitter and coax jacks 120V This item cannot be shipped to APO/FPO addresses. Please accept our apologies.